I will get back to the desktops soon, I promise! For now though I have Side B of the newest mix. This side is for those of you who like the quieter side of music, something more for a calm day or to put on while reading perhaps. 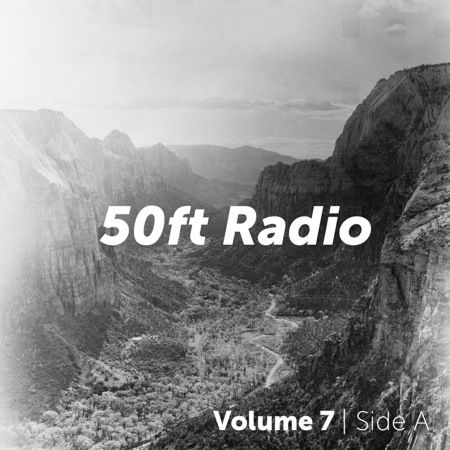 I really enjoy this one and tried to make it more varied than volume six’s all ambient all the time approach. I hope you guys discover something new on here you have not heard before and check out the artists you enjoy. I will simply repeat the details from side a as far as production notes go for those of you who may have missed them. The mix is available here, the zip file contains this PDF with the track listing for your curiosity but the file is also an AAC encoded file with artwork and links to artists to learn more. Enjoy! The mix was created using GarageBand and was exported using the enhanced AAC format which allows you to skip through tracks so if one of the songs is really not agreeing with you you can always jump ahead to the next. Please, have respect for the music on here, I make them with honest intentions of sharing great music with you guys to discover so never re-host the mix anywhere else. I will not make it available in individual tracks so please don’t ask. Also, above all else, if you enjoy a song and find yourself coming back to it often then by all means check out the albums or musicians that created them and purchase some of their music! Help them help you! Thanks again and enjoy! 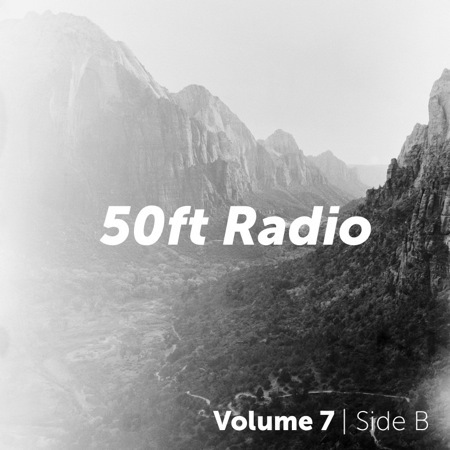 50ft Radio is back with the A side of volume seven. I set out to start making these shorter and release them more often but as always, things change. One mix grew into another “two sided” one split into two distinct moods. Side A is an exploration of more electronic and progressive sounds. A couple of last minute additions to the mix left it with a sharp left turn nearly right off the bat and I am curious to see what you guys think of it. I opted for nothing too heavy this go around and wanted to bridge straight electronic tracks with a few containing a little more in the way of organic elements. Anyways, I hope you guys enjoy it and keep an eye out this week for the B side which is more wonderful quiet and ambient music for those of you not as into the electronic side of things. I would have released them both at the same time but this is all I had time to compile over the weekend and wanted to go ahead and share this with everyone at least. The mix can be found here, the zip file contains a PDF track listing which can also be seen here but I think its more fun to listen to it before digging in to see what tracks you may or may not already know. Reading the track list is like reading a detailed plot summary before watching a movie. So, just where have I been lately? Posts have been scarce but for good reason. First off, I have been working on a structural update for the site that I have been planning for quite some time and suddenly had reason to jump in head first and see what happens. The only problem here is time has not been on my side as of late. July is typically one of the busiest work months of the year coupled by a large amount of paperwork and planning involved in getting YoungDoo stateside in the fall has filled my days beginning to end. But wait, that’s not all! I have also been in the process of moving into a fresh new apartment which has taken any extra time I may have had and hid it away from me. The good news is that I have started to see the light at the end of the tunnel. As things start to settle I will be able to start putting time into 50ft once again and work towards the fall and winter where I hope to make the site better than ever with a resolved focus and organization that will lay the foundation for the future. I do my best to avoid writing posts of this type these days but I felt the slow posting has left many of you wondering what has been going on. I appreciate those of you who sent notes checking in on things! With any luck things should be back to normal here soon enough. Thanks so much for your ongoing support and patience as I navigate through life. Here’s to the future!